If you give a Fit girl some protein, she's gonna need a shaker bottle to go with it. But not just ANY shaker bottle. 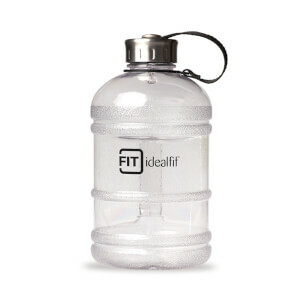 Our IdealFit Multi Compartment Bottle was made with YOU and your needs in mind. We know you're busy, and we know you're always on the run. That's why we made a shaker bottle meant to keep up with you wherever you go! Just add your liquid of choice and your fave flavor of IdealLean Protein (see our full selection here), shake, and go. This is a great shaker bottle. 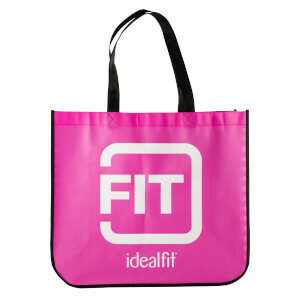 I love the compartments and use the smaller insert everyday for pills and protein! 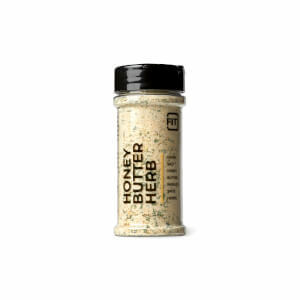 This shake bottle is perfect for a quick, simple, and healthy breakfast or meal replacement each day. The only downside I had to be cleaned regularly and it doesn’t come with instructions on how to use the product. 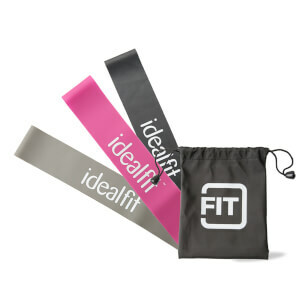 The IDEALFIT multi-compartment bottle is exceptional! This is my second bottle that I have purchased and I absolutely love it! I place my protein shakes or BCAA on the bottom and it stays secure. I love that it is multi-purpose and easy to through in my bag each day! Keep this product in stock - it's truly great! This shaker is a great upgrade from the ones I’ve been using from idealshape, much easier to clean and I love the bottom compartment to hold my powder. Only thing I don’t like about it so far is that it’s a little hard to hold on to; I have smaller hands and the circumference is a bit big, plus it has a very smooth finish so it’s kind of slippery especially if it gets wet. Would definitely recommend tho! This truly makes taking protein shakes on the go possible for me. It mixes better than I ever expected. There is no chunks and the shakes come out smooth and delicious. I am not surprised it is sold out. You should know it doesn't come with directions so it was a little awkward figuring it out at first. It's not rocket science but it would have been useful to have some kind of instruction sheet. I honestly don't really use the bottom compartment. The function of the bottom compartment is to be able to take your BCAA powder and any pills you might take throughout the day. I really like the mixer that goes into the main compartment. It does an amazing job at mixing the powder with the coconut milk to make a delicious shake. This is mainly what I love about the bottle. My only suggestion is to please include instructions so you can see how all the compartments work and for functionality. I love this shaker cup! The containers on the bottom are great. I love that I don't have to even keep them on if I'm enjoying my protein at home. I love how easily the shaker top goes in and makes my drink as smooth as butter. What I don't love is the color of the cup! I know that pink is a 'girl thing' or whatever, but I hate the color with a passion and wish there were other options to choose from! The shaker cup came with a package deal and it was a great deal and a great cup, just wish there were other colors to choose from for people who strongly dislike the stereotype of pink for girls. I’ve had this for a bit. I got it in a package deal I bought. I didn’t think much of it...after all, it’s just another shaker bottle, right? WRONG! It’s now my favorite!!! The storage container on the bottom is great...but you know what’s awesome? The fact it has no shaker balls or otherwise. It has a neat insert that you don’t even know is there after inserted to help mix the product. If you put ice in your shake it stops it from coming out and choking you, as well as stop the ice from keeping the drink coming out. Don’t hesitate...buy this! I would love to see another color in this so I don’t hear from my family “you bought ANOTHER one of those cups?! ?”....hey family, it’s not a cup...it’s much more!!! I received my trial pack yesterday and got this shaker cup. First off, fast delivery! In a world of Amazon Prime, I always feel like normal delivery is SO slow! I was excited it came quickly! My husband is jealous! He really wants one, and asked if they have ANY other colors besides pink, ha! Poor Guy. He can just keep being jealous because this one is ALL mine! I love the compartments for vitamins and powder to be separate. I love that I can take a drink to go in the cup, and take one to mix in the powder holder. The lid is awesome. Sturdy little cup! So helpful that it has measurements on the side. I Know this is supposed to be a review for the cup, but I tried both flavors that came with the kit, and I have already ordered a full container and will be coming back! I am excited to try the BCAA's today! Most convenient, light weight, and easy to clean bottle ever! I’d definitely recommend to others! I really like the this bottle. Great way to carry my daily vitamins and powder to work all in one container. Genius!! !